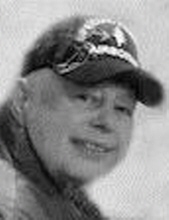 Ronald Terry Whitenack, 75, passed away at Marysville Post-Acute with his wife by his side on January 18th, 2019 after a long battle with cancer. He was born on August 7th, 1943 in Washoe County, NV, to Merle and Rose (Kozman) Whitenack. Survived by his wife, Cheryl Baxter; son, Christopher Whitenack, Burlington, WA; stepdaughter, Melissa Akers; stepson, Richard Akers both of Marysville; sister Joann Nance, NC; grandson William Whitenack and great-granddaughter Sophia both of WA. Ron was the Circulation Director for the Appeal-Democrat from 1999 to 2004 and a 20 year resident of Yuba County. He was proud of his years of service in the Army from 1963 to 1967 in the 1st Cavalry Division and was awarded a Purple Heart for Vietnam. There will be a Celebration of Life for friends and family at the Foothill Lions Club, 5667 Fruitland Rd. in Loma Rica on February 2nd, 2019 at 2 pm. Interment will be at Arlington National Cemetery. To send flowers or a remembrance gift to the family of Ronald Terry Whitenack, please visit our Tribute Store. "Email Address" would like to share the life celebration of Ronald Terry Whitenack. Click on the "link" to go to share a favorite memory or leave a condolence message for the family.